Whether you travel frequently for business or pleasure, hotel loyalty has its perks. If you plan the bulk of your stays with a single brand of hotels, you can earn special hotel status and all the benefits that come with it – plus a huge stash of points. To help you decide, we compared the benefits from the top hotel programs in the U.S. and abroad. Here’s how they compare in terms of ongoing benefits and point accumulation. The Hilton Honors program went through a revamp in early 2017, although most of the changes came on the redemption end of the spectrum (not on the earning side). With the Hilton Honors program, frequent travelers earn 10 points per $1 spent at Hilton properties. On top of that, those with Hilton Silver status earn a 20 percent point bonus, those with Gold status get a 80 percent bonus, and top tier Diamond members get a 100 percent bonus. Co-branded Hilton credit cards also offer a bonus when you use your card to pay for Hilton purchases. While Hilton points are easy to accumulate, they aren’t worth a lot. Low-end Hilton properties cost as little as 30,000 points per night, but higher end properties can run 80,000 points per night or more. With that in mind, the Hilton Honors program is usually best for people who have a lot of paid stays each year – and those who use their Hilton credit cards. While you can earn a ton of points quickly, free stays aren’t cheap. Pros: Hilton Honors points are easy to earn, especially if you use a co-branded credit card. Cons: It takes a ton of points to score a free hotel night. The Hilton Honors American Express Ascend Card provides Hilton fans with a wide variety of benefits. You earn 12X Hilton Honors Bonus Points for each dollar spent with a participating hotel or resort within the Hilton Portfolio, 6X points for each dollar spent at U.S. restaurants, U.S. supermarkets, and U.S. gas stations, and 3X points for all other eligible purchases on your card. Plus, if you spend $40,000 on eligible purchases in a calendar year you can earn Hilton Honors Diamond status through the end of the next calendar year, and you earn a Weekend Night Reward after you spend $15,000 on purchases on your card in a calendar year. New cardholders can earn 125,000 Hilton Honors Bonus Points after you spend $2,000 in purchases on the card within your first 3 months of card membership. Terms apply. The annual fee is $95. See rates and fees. For rates and fees of the Hilton Honors American Express Ascend Card, please click here. Click here to learn more and apply for the Hilton Honors American Express Ascend Card today! 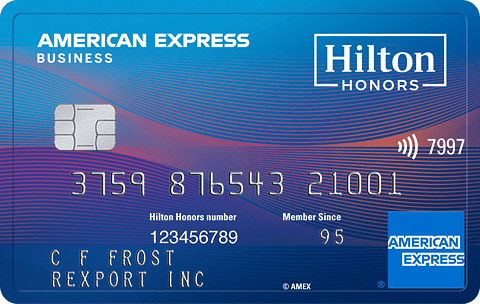 The Hilton Honors American Express Business Card allows you to earn more points per $1 spent on eligible purchases: 12X points at hotels and resorts in the Hilton portfolio, 6X on select business and travel purchases, and 3X everywhere else. You can earn a Weekend Night Reward from Hilton Honors after you spend $15,000 in purchases on your in a calendar year, and if you spend an additional $45,000 in purchases in the same calendar year, you get another Weekend Night Reward. 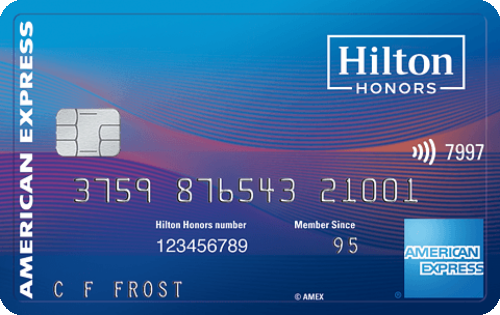 New cardholders earn 125,000 Hilton Honors Bonus Points after you spend $3,000 in purchases on your Card in the first 3 months of Card Membership. Terms apply. The annual fee for this card is $95. See rates and fees. For rates and fees of The Hilton Honors American Express Business Card, please click here. Click here to learn more and apply for The Hilton Honors American Express Business Card today! InterContinental Hotels Group offers plenty of value for frequent business travelers and leisure travelers. First, you’ll earn 10 points per $1 spent at IHG properties like Holiday Inn, Crowne Plaza, and InterContinental Hotels. Earn 5x points at Staybridge Suites or Candlewood Suites. On top of that, you can earn additional points on IHG purchases made with their co-branded credit card. IHG has 5,000 properties in 100 countries, ranging from those in the luxurious InterContinental Hotels brand, all the way down to your average roadside Holiday Inn Express. It even offers all-inclusive resorts in Mexico and Jamaica – and yes, you can book them with points. Redeeming points for free hotel nights costs as little as 10,000 points and as much as 60,000 points, depending on the hotel brand and location. With that in mind, the IHG Rewards program is usually best for people who want to stay in many different types of hotels with as many options as possible. Pros: With so many properties under its umbrella, you’ll almost always find an IHG hotel where you’re going. Use your points to book anything from a funky Hotel Indigo, to a luxury InterContinental, to a family-friendly Holiday Inn. Cons: IHG has a smaller selection of higher-end hotels, making it a poor choice for luxury travelers. Additionally, members can choose to earn miles instead of points for qualifying stays. Mileage earning rates vary per airline. Many frequent travelers choose Marriott Rewards as their hotel loyalty program of choice, and for good reason. Points are easy to earn, and the hotel brand has a ton of choices – especially now that it’s merged with the Starwood Preferred Guest program. With Marriott Rewards, you’ll earn 10 points per $1 spent at Marriott, Ritz-Carlton, and Courtyard properties (only 5 points per $1 spent at Residence Inn), plus a bonus that corresponds with your status. Silver, Gold, and Platinum members earn 20 percent, 25 percent, and 50 percent bonuses on their base points, respectively. It’s also worth noting that you can earn additional points paying for your Marriott stays with a co-branded credit card. Since the Starwood Preferred Guest program merged with Marriott Rewards, you can now transfer points between the two. When you do, the transfer ratio is 3:1, making 100,000 Marriott points worth 3,333 Starpoints. This benefit makes it easier to find a property you want to stay at anywhere across the globe. And let’s not forget you can use your Marriott status and points to book free nights at Ritz Carlton properties, too. Points earned for paid stays: 10 or 5 points per $1 spent, plus additional points with a co-branded credit card. Then earn a 20 percent, 25 percent, or 50 percent bonus based on status. Pros: With so many properties, it’s easy to find a place to stay or use your points. And since you can use Marriott points to stay at SPG or Ritz Carlton properties, you have more options than ever. Cons: Marriott properties aren’t always cheap, especially in points. While there are a few Category 1 properties, which cost 7,500 points, most of Marriott’s properties cost more. Staying at a basic Marriott near an interstate will set you back 25,000 points or more, and their high-end properties cost 45,000 points per night. United MileagePlus members can take advantage of the RewardsPlus program, which allows Marriott Rewards members to receive a 20% discount when converting points to MileagePlus award miles. The Club Carlson hotel brand is scattered throughout Europe, Asia, the U.S., and Canada, although there are also properties in South America, the Middle East, and Africa. In total, the brand offers more than 1,000 hotels worldwide, with Radisson, Radisson Blu, and Country Inn & Suites as some of their most popular brands. The good news about Club Carlson points is that they’re particularly easy to earn, especially if you have their co-branded credit card. Also, with Gold status, you’ll earn a 35 percent bonus on the points you earn for paid hotel stays. Category 1 Club Carlson properties start at just 9,000 points per night, but redemptions surge to 70,000 points per night for their highest end hotels. This means that you’ll need to earn a ton of Club Carlson points if you hope to stay in their nicest properties. Pros: Points are easy to earn, and free hotel stays start at just 9,000 points per night. Cons: Club Carlson has a fairly small footprint, especially in the U.S. And if you want to stay at higher end properties, you’ll need a ton of points. World of Hyatt is another smaller hotel program with plenty of options in the U.S. and abroad. Program members earn 5 points per $1 spent at Hyatt properties, plus additional points when they pay with a co-branded credit card. 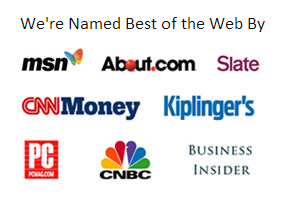 Those who reach the new Discoverist status receive a 10 percent on paid stays, while next-tier Explorist status receives a 20 percent bonus and top tier Globalists receive a 30 percent point bump. While reaching Globalist status requires 60 paid nights, 100,000 base points, or 20 qualifying meetings or events in a year, you’ll be rewarded with upgraded rooms, club access, free parking, and waived resort fees, among other benefits. With more than 700 properties in more than 56 countries, Hyatt offers a diverse range of hotels. From high-end Park Hyatt all the way down to Hyatt Place, you can use your points for nearly any type of travel. Points earned for paid stays: 5 points per $1 spent, with a 10, 20 or 30 percent bonus for members of various elite status tiers. Pros: It takes a while to accumulate points. However, free nights at Category 1 properties start at just 5,000 points. Cons: Hyatt is barely represented in certain parts of the world, making it a poor choice for frequent travelers who want plenty of options. Before you pledge your loyalty to a specific hotel brand, take some time to figure out which would benefit you most. Which hotel brand offers the largest selection of properties where you want to travel? And, which co-branded hotel credit card could you benefit the most from? Just like anything else in life, the right answer is different for everyone. By doing some research upfront and figuring out your own travel goals, you can find the best loyalty program for your needs.